I had never heard of Ryan Raferty until this morning when I discovered a headline about an Anna Wintour musical in my Internet travels. Cue elevated heart rate as I waited for that particular story to load and silently prayed it would star Meryl Streep a la Miranda Priestly in The Devil Wears Prada. Then I discovered Raftery, my new hero and the creator/star of Ryan Raferty is the Most Powerful Woman in Fashion , a one-man musical about the real most powerful woman in fashion. Is this the best day ever? I think it just might be. Maggie Lange of The Cut spoke with Raferty about the show, which was apparently inspired by a Wintour sighting in Midtown several years ago, during which he realized, "she’s Darth Vader and Hillary Clinton in one little package.” Is that not the most brilliant summary of Anna Wintour that you've ever heard? I wish I'd come up with it first. Most Powerful Woman tells the story of one day in Wintour's life, following the controversial decision to put Kimye on the cover of Vogue . Raftery’s impression of Wintour is filled with crossed arms and helmet-hair flicks. There are some lovely details, like Wintour’s assistant changing an intercom buzzer to please her mistress (one of the settings is "Chic Baby Noise"). Some details are perplexing; for example, Raftery’s Wintour gripes about being a “Hacky Sack for the press to judge.” It's very fun to imagine a world in which Wintour knows what a Hacky Sack is. I don't know about you, but I think that sounds like a complete delight. Seeing Wintour's icy demeanor brought to life via song by this man would be so much fun. The show is super limited engagement over at Joe's Pup, with performances on Monday, August 11th and Friday, September 5th. Tickets are a steal at $20 a piece, which will save you plenty of cash with which to stock up on Givenchy couture. 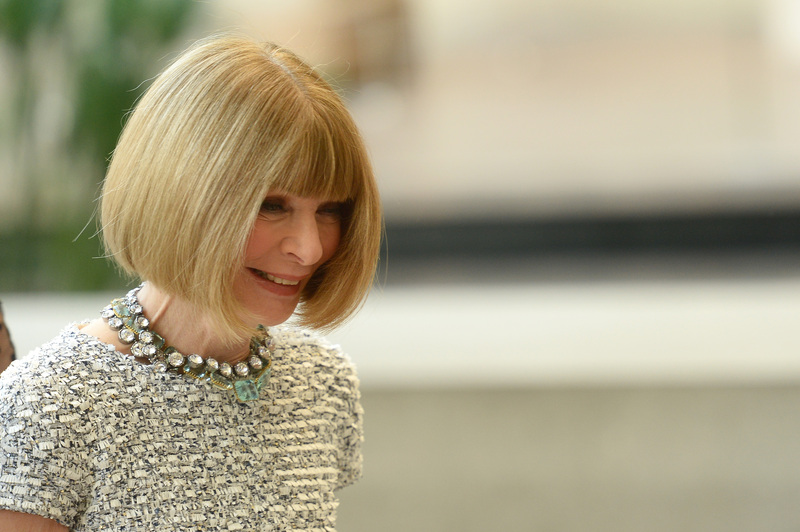 Wouldn't want Ms. Wintour to see you wearing off the rack, now would you?